The 8th of March is the International Woman’s Day 2017. We’re using the whole week to celebrate the achievements of our women scientists at the Department of Experimental Psychology. As part of our celebrations, we have developed a blog series featuring our female researchers. 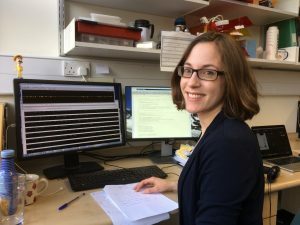 Catherine Perrodin is a Sir Henry Wellcome Postdoctoral Fellow at the Department of Experimental Psychology. 1. If you would have to summarise your research interest in one question, what would it be? 2. How did you become interested in your current research topic? 3. What were the key experiences that have shaped your interests/your career? “What sealed the game for becoming a scientist was meeting my first neuroscientist. 4. If you would have to name a book that has been influential for you, what would it be? 5. As a researcher, what do you do to develop new ideas? 6. What’s your favourite part about being a researcher? 7. 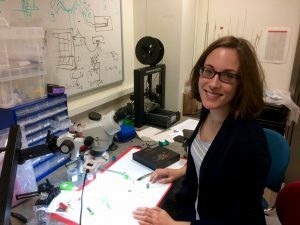 What are the current challenges for female researchers in your opinion? How do you deal with them? 8. Is there something you still want to discover with your research in future? 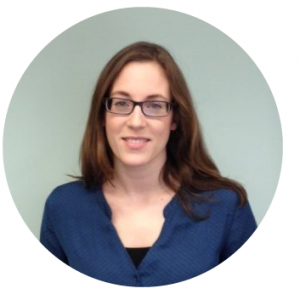 Learn more about Catherine’s research here.